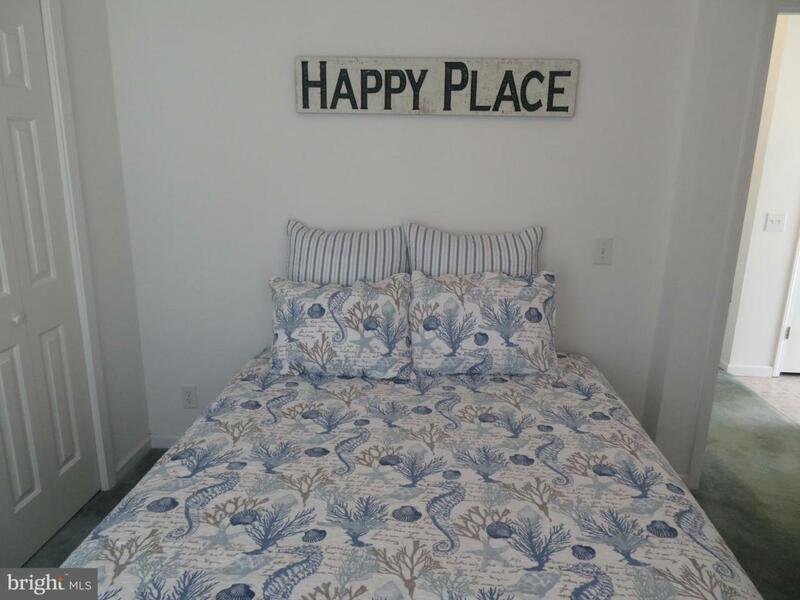 OWN LAND & HOME-NO GROUND RENT-NOT A RENTAL-1 owner, AFFORDABLE 2 bedroom and new bed in 2nd bedroom, vacation retreat approx. 10 minutes to OC beach. 2005 MODULAR BUILT on 45' x 50' -2250 wider than most sq. ft. lot home with enough space for 4 cars to park. 2 yr. new concrete patio & driveway- manicured yard-close proximity & pathways to pool & marina. Lots of windows & 2 bay windows w/window treatments brighten this open floor plan. Central heat & A/C. Some recessed lighting-2017 new w/dryer front load, energy efficient- kitchen w/ dbl. 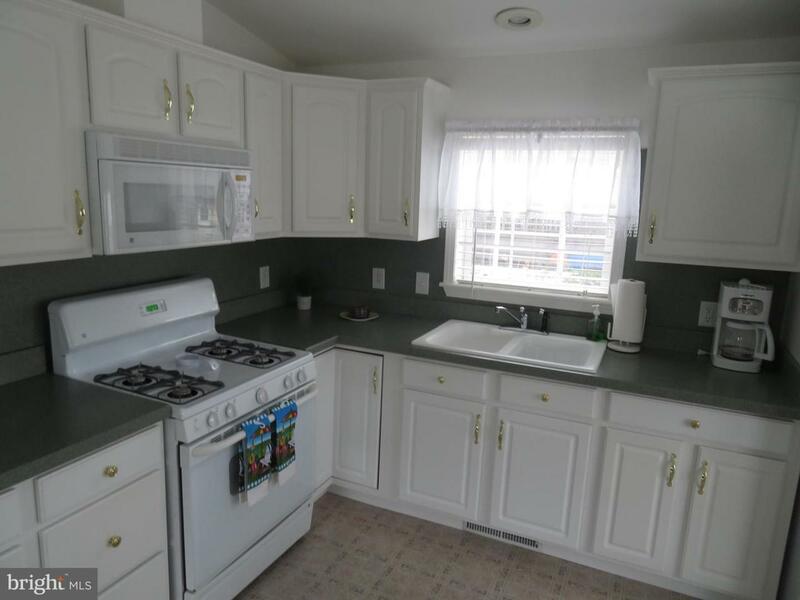 sink, pantry, fridge w/side by side doors, ice maker w/front water & ice dispenser- built in micro-lazy susan-disposal- cathedral ceiling- Kitchen has upgraded white cabinets. Shed for extra storage. Community located on St. Martin's River-24 hr. security gated community. HOA is $90. 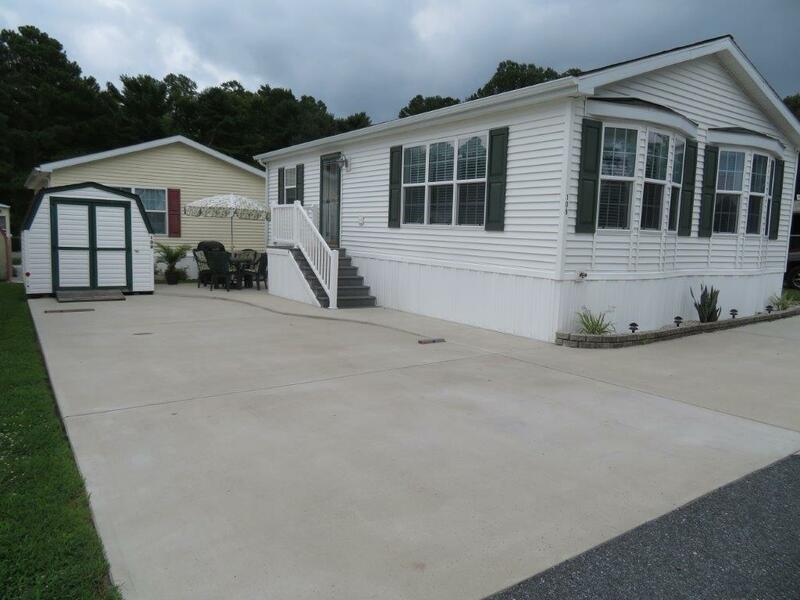 a month, includes lawn cutting, outdoor community pool, trash disposal area, boat ramp, crabbing pier& gazebo. 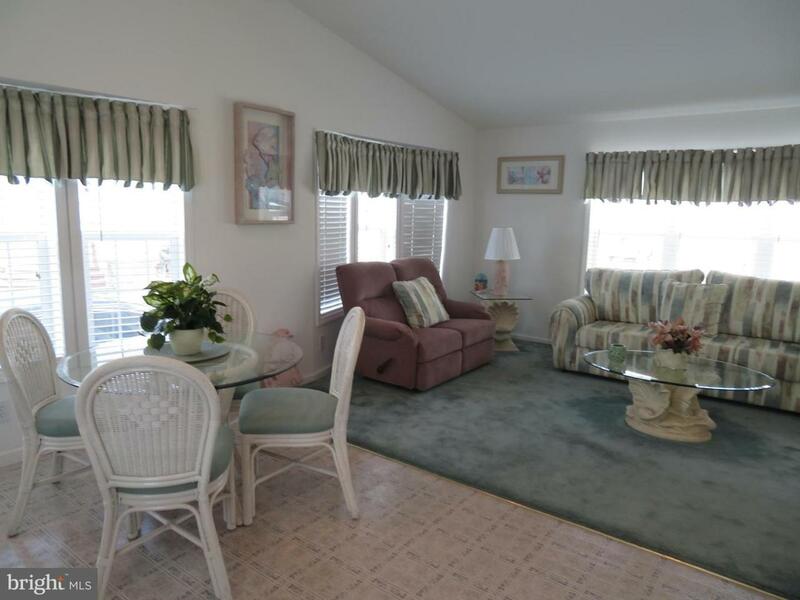 Park has gated boat & trailer storage, marina, boat slips, clubhouse, playground & more. New survey paid for by seller and complete for buyer. Comes Furnished as shown w/only a few small planters excluded. Park is open year round but full time residency not allowed. Can stay in park between April 1 through Sept. 30 and then additional 60 days from Sept. 30 to April 1. Call list agent or White Horse Park office for terms. TV works fine but sold as is.